Tandem were a vital part of the team that conceptualised and delivered a suite of interpretation, inspired by the myriad of stories found in the landscape, for the Wild Atlantic Way, one of Europe’s longest designated driving routes. 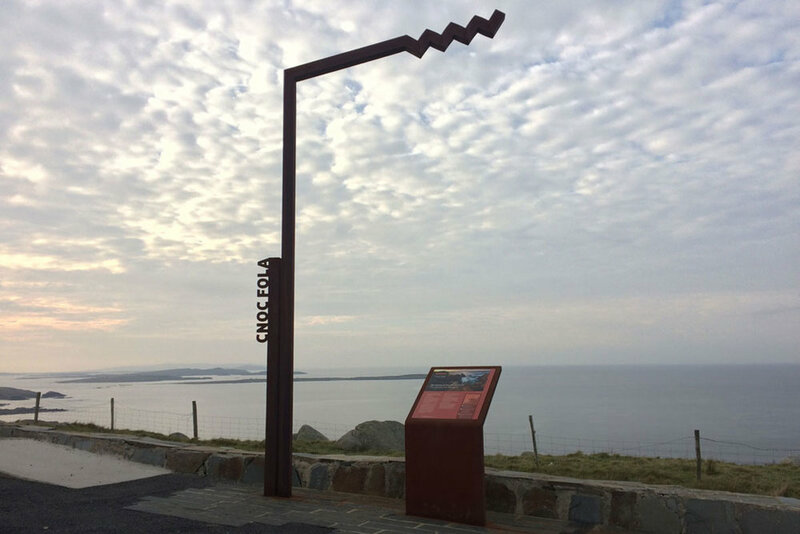 Stretching the 2400km length of Ireland’s west coast, 188 panels and lecterns help connect visitors with local heritage, from the Burren’s amazing geology to tales of French invaders in West Cork. Following extensive community consultation, stories for each unique stop were developed. Our design scheme provided consistency while allowing each site to speak for itself, attracting interest and encouraging tourists to both immerse themselves in the stunning landscape and further explore the area. Commissioning original artwork, selecting appropriate imagery and working with the project copywriter, we also developed an interpretation toolkit to enable wider roll-out of the Wild Atlantic Waytourism brand. Our design approach incorporated the dual-language content from the outset and we also created a user-friendly Irish pronunciation guide for areas within the Gaeltacht. 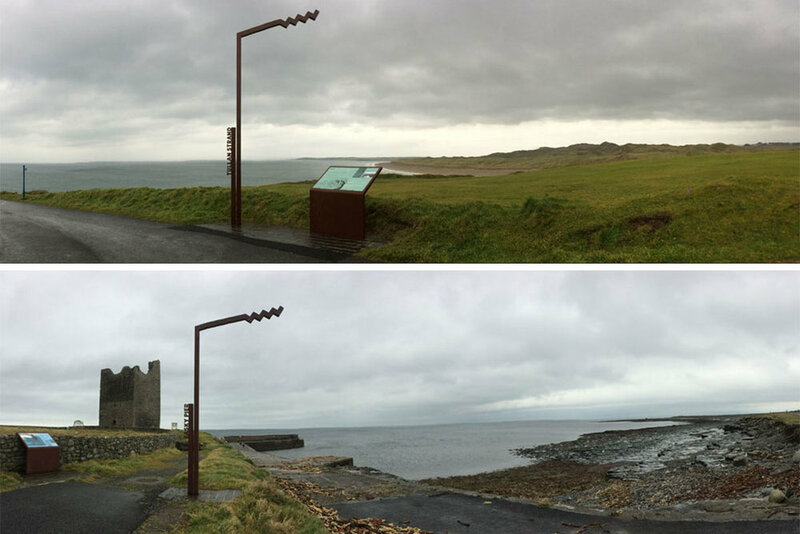 Stretching the 2400km length of Ireland’s west coast, 188 panels and lecterns help connect visitors with local heritage.